Every morning, I stopped by Karoun dairies for some fresh Greek yogurt. I loved the honey taste combined with the rich, smooth texture. I also added some Grashoff Gentleman’s dark chocolate spread into the mix and was totally blown away. I was impressed with their yogurt and cheese selection too. It was diverse, tart, and unpredictable. If you want to learn more about this company and want to follow them on Twitter. Click here and here. 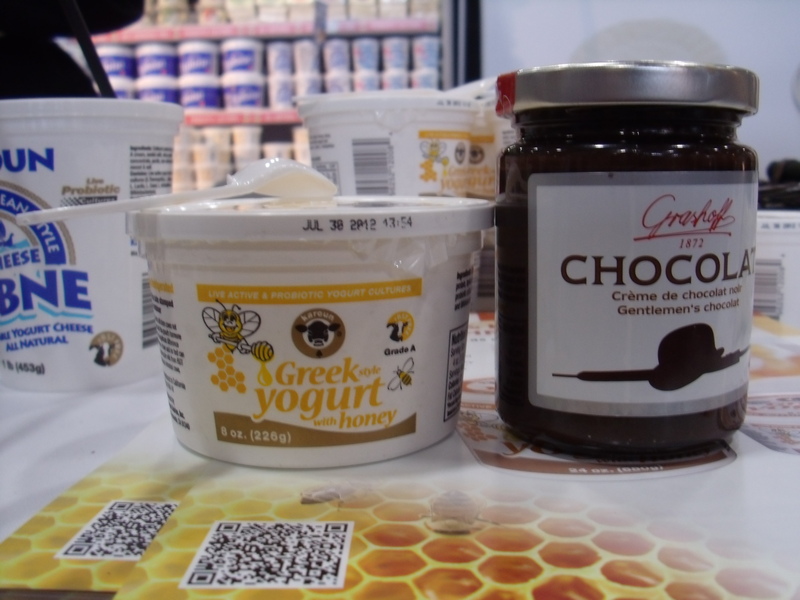 Karoun Dairies is a wonderful company that compliments Grashoff Chocolate sauce products. I’ve never been a big sprinkles on ice cream kinda girl. Most sprinkles taste like colorful, candied blah. When I stopped by Nancy Turek’s table, and got to know her Real Chocolate Sprinkles and her company Stranded Foodie, I realized that there are gourmet chocolate sprinkles out there. Her chocolate sprinkles actually taste like real chocolate but are under a ‘sprinkles guise’.Honestly,if normal sprinkles tasted like hers, then I would actually like sprinkles on my ice cream.Nancy also liked my Grashoff Chocolate spread and we both imagined ways of combining both our products together. 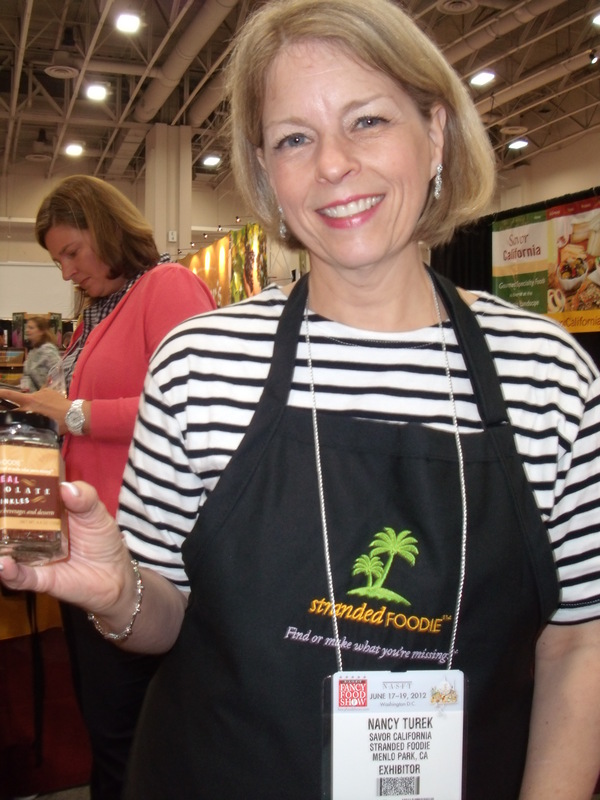 It was great meeting Nancy and especially great tasting her “Real Chocolate Sprinkles” at the Fancy Food show this year. Interested in getting sprinkles that actually taste the way they should be tasting? Check out her website here and like her on Facebook. I was really hungry and wanted something breakfast-y to eat. So I stopped by Kodiak Cakes and had a great conversation about Joel M. Clark’s wholewheat pancakes. Normally I just eat fruit and a boiled egg for breakfast since I don’t like the taste of pancakes. Magically enough, Joel’s pancakes taste addictive and they are good for your health. He also had an array of berry-related sauces that pair well with his pancakes. 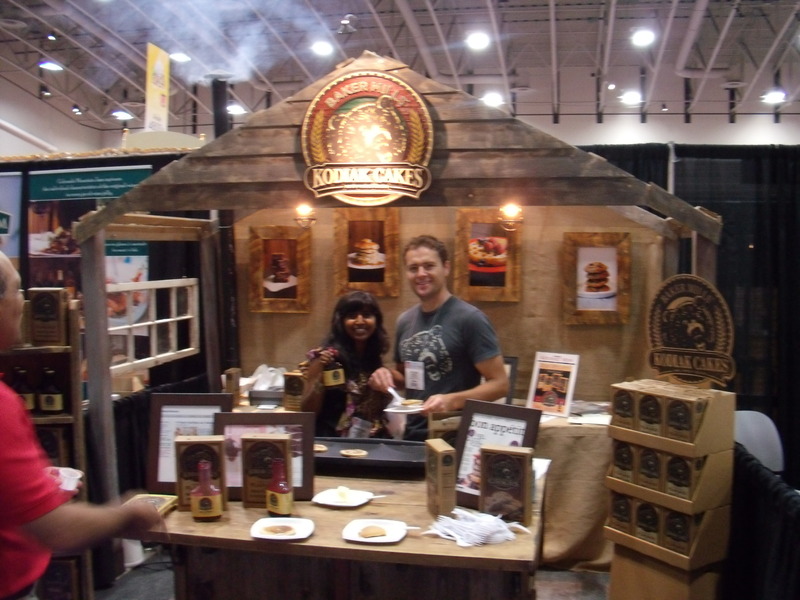 If I ate Kodiak Cakes for breakfast, maybe I’d be a happier camper when I start the week. Joel liked Grashoff’s Dark Chocolate spreads too. We talked about pairing these illustrious Belgian spreads with his pancakes. Did you know, if you stop at your local Target, you can purchase your own Kodiak Cake. Learn more about this addictive brand here and like them on Facebook. Are you ready for Part 5? I hope you are!